← Glenrose Cannery Under Threat? 1862 Map of Trail from Shushwap headwaters / Sugar Lake to Arrow Lakes, linking Fraser/Thompson system to Columbia watershed. Source: Harris, BC Studies. The big three issues are the decadal roundups of B.C. Archaeology. I’ll link to the tables of contents, where you can see the whole issue as well and maybe stumble across something you like. Autumn 1970: several classic, widely cited papers, including Knut Fladmark on Haida Gwaii, Roy Carlson on Helen Point, and Gay Calvert on St Mungo. Winter 1980: Fragments from the past: BC archaeology in the 1970s. In timely fashion, this contains a good report by RG Matson on the Glenrose Cannery site, discussed yesterday. Note that these decadal roundups also contain comprehensive bibliographies of BC archaeology compiled by Knut Fladmark, which formed the basis for his 1997 publication Bibliography of BC Archaeology, which is still a very useful resource. Autumn 1993: Changing Times: BC Archaeology in the 1980s. Every paper in this volume is solid and still widely referenced. The highlight is, I think, the paper by Arnoud Stryd and Morley Eldridge on Culturally Modified Trees. 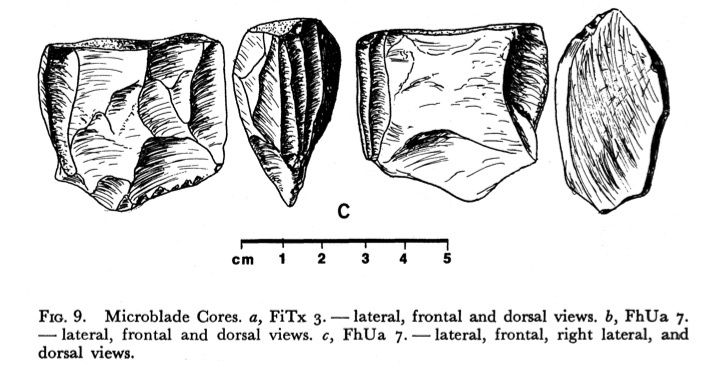 These were just penetrating the archaeological consciousness at this time (from both a fieldwork and a management perspective), and this paper outlines the prospects and possibilities of this line of research, which sadly is still falling far short of its potential. It’s still the best overview of the topic, in my view. The decade roundups seem to have stopped after this point which is a shame. It’s coming up on 2011 so maybe that is a chance to review the noughties. Anyone up for proposing a special issue? OK, so there are occasional archaeology papers scattered through the rest of the issues, as well as First Nations and historical geographic content, which I find interesting, at least. So following are some links you may or may not enjoy – again these go to the table of contents for the volume in question because the article links start an automatic PDF download, like it or not. 1968: Charles Borden on the Skagit River atlatl. I for one never knew this paper existed. Bad me. 1969: Wilson Duff on the Fort Victoria treaties. 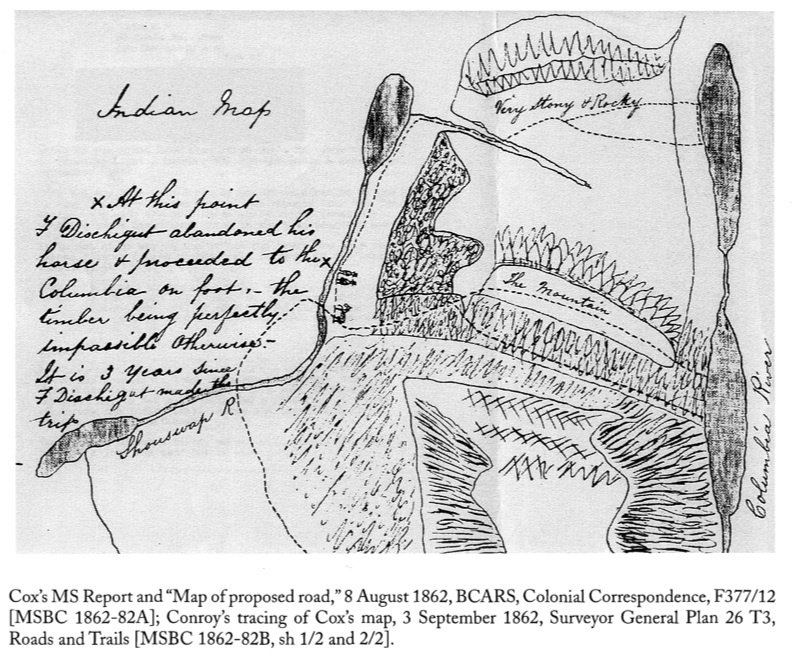 1970: DH Mitchell on archaeology of Fort Defiance. 1975: Archaeology of the Alberni Valley by McMillan and St. Claire. 1976: annotated biblio of NW Coast aboriginal music, but also, Michael Ames’ appreciation of the recently deceased Wilson Duff. 1980: Totem pole restoration on the Skeena, 1925-1930, an early case of in situ conservation. 1982: Smallpox on the Northwest Coast 1835-1838, and Wayne Suttles reviews The World is as Sharp as a Knife, and anthology in honour of Wilson Duff. 1983: Special Issue on First Nations, with classic introduction by Thomas Berger. 1984: Michael Ames review essay on Bill Holm and Willie Seaweed. 1985: Owen Beattie reviews cranial studies in the Gulf of Georgia. 1986: Notes on the Douglas Treaties. 1989: Nisga’a Chief George Kinzadah–Simoogit in His Times. 1992: Anthropology and History in the Courts. Seminal articles, including Julie Cruikshank on the Invention of Anthropology in the context of title cases. 1992: RS Mackie on the Colonisation of Vancouver Island. 1994: First Nations in BC issue, including early historical contact in the Okanagan and Robert Boyd on epidemics. 1996: Bruce Miller on the US-Canada border and Salish communities. Also a cool map from 1862 of the upper Shuswap with trail from Sugar Lake to Arrow Lakes. 2000: Ethnographic Eyes issue, includes classic paper by Regna Darnell on role of NW Coast in Americanist anthropology. 2001: Forum on BC historiography and sense of place. 2003: Native Geographies. Some excellent articles including Martindale and Marsden on Tsimshian archaeology and Wickwire on temporality and ethnography. 2005: Photographic Essay, Dan Savard images of First Nations in the RBCM collection. 2005: Cole Harris reviews Julie Cruikshank: Do Glaciers Really Listen? 2006: Indigenous Rights and Traditional Knowledge in the BC aquaculture industry. *phew* That’s it for the free stuff. It may be a “moving wall”, so as they add pay-only content at one end then issues become free at the other, I don’t know. Well obviously the list above is a bit OCD, but the fact is, you’d have to click on every one of those links to find out if there was anything good, and an awful lot of the issues were focused on history of widgets and historical woowoo, and so forth. Go ahead and prove me wrong, though, find something else good and stick it in the comments. And oh, yeah: Canadian Journal of Archaeology – you have your back issues already digitized on that CD you sell (or don’t), why not release them into the wild. You’ll gain citations and prestige. Ditto: The Midden. 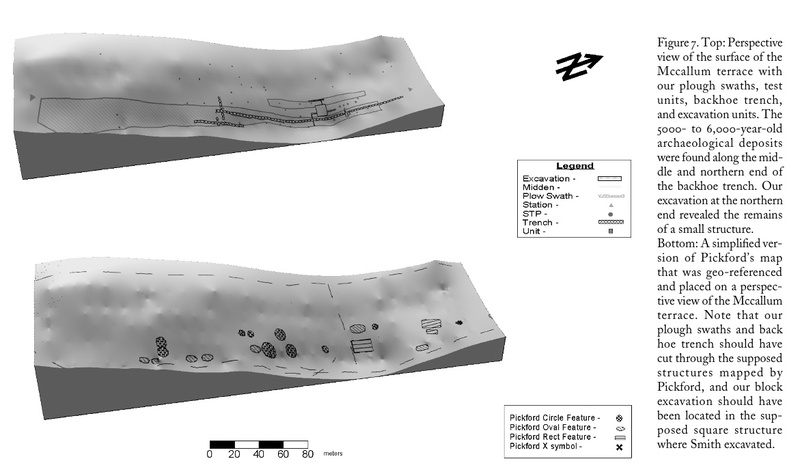 Surface models of the McCallum Site. Source: Lepfsky 2008, BC Studies. This entry was posted in anthropology, Archaeology, archives, First Nations, history and tagged archives, BC Studies, Open access Journals. Bookmark the permalink. I am a huge fan of BC Studies. My first year students use the journal regularly for their essays and article reviews and I’ll make them aware of your useful index of the best of the journal. Thanks for compiling it. I use some articles with students including Foster, Hamar. 1998-1999. Honouring the Queen: A Legal and Historical Perspective on the Nisga’a Treaty. BC Studies 120(4):11-36 in the Nisga’a Treaty issue. This article nicely refutes major public criticisms of the treaty including the concern that it rewrites the Canadian Constitution and that it is race-based. I also use a forum with Cole Harris, Jo-Anne Fiske, and Gordon Gibson called Revisiting the Native Land Question (Summer/Autumn 2003). Harris’ piece in this forum is a summary of Harris’ much longer Making Native Space book. I’ve also used and appreciated Wendy Wickwire’s 1991 Stein Valley article, although not for a few years. I find it useful for discussing the importance of both archaeological and ethnographic research in the context of development. You highlight this article, above. Gosh, thanks Q. This list will be of lasting use, although now I feel like such a dope for going to library to photocopy and pdf some of these classics for my own use last year. Bravo to the BC studies folk especially their wisdom in making it for free which ultimately will do great things for their future readership (e.g., undergrads trawling for research topics). twoeyes – I’d like to know if the Midden maintains an organized digital record of the publication. At least since the early 1990s submission has been electronic. It would be a good project to get it on line, and not insurmountable in scope. The benefits of publicity and of fulfilling the mandate of the ASBC would surely outweigh any loss of revenue of selling backissues. In the case of the CJA, as a publicly funded journal it falls under the general principle of, it should be open access. End of story. Q, i am not sure what the situation with the midden back issues is currently. but might ask the Vancouver Branch representatives at the upcoming arch forum. Two other critical local journals to put on a hypothetical wish list to digitize would be Northwest Anthropological Research Notes (now Journal of Northwest Anthropology) and Syesis (published by the Royal BC Museum). I think it is one of the more important discussions of features of Coast Salish social systems (residence communities on one side of the coin, kin networks on the other). The article has significance for archaeological and ethnographic interpretations of historic (and beyond) social networks. Thanks Brian, good call. For some reason her M.A. thesis hasn’t made it onto UVic dSpace yet. Roy, Susan (2006) “Who Were These Mysterious People?”: ‘cesna:m, the Marpole Midden, and the Dispossession of Aboriginal Lands in British Columbia. BC Studies 152(Winter):67–95.